The first thing you’ll notice is that the Image Recycle plugin just got more powerful with the latest version. One of the new additions is the ability to connect accounts or sub-accounts right from your Joomla website. All you have to do is head to ImageRecycle’s settings page, input the API key and secret, and save your changes. 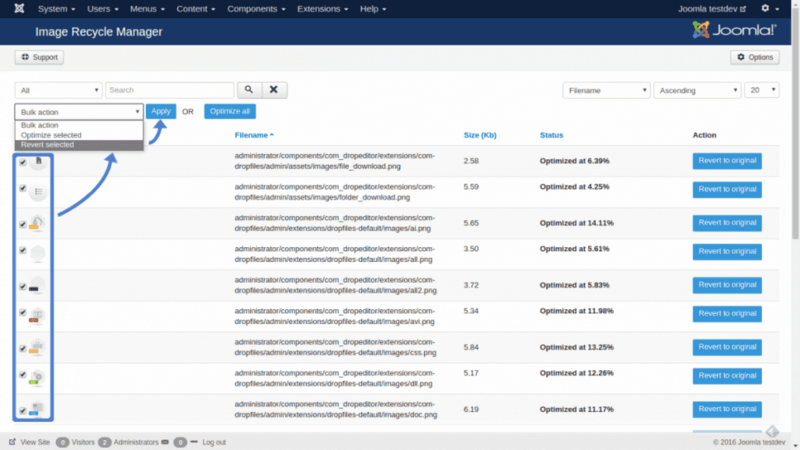 Once the page refreshes, you’ll also notice the brand new optimization statistics right on your dashboard. This new section is your one-stop infographic to keep tabs on your optimization consumption. Optimizing your files, and reverting them to their original state can be a handy tool, but processing them one at a time can be tedious. With the latest ImageRecycle updates, it’s now possible to optimize or revert all your images and PDF documents at one go. The process is relatively simple. All you have to do is select all the files you want to process, select the bulk action, and apply the operation. Alternatively, you can just optimize all the website’s images and PDF files in one go by pressing the optimize all button. This hastens the process of optimizing images and PDFs, but the process itself may still take some time. And this is where the next new feature comes in. You probably have better ways to spend your time than waiting for ImageRecycle to finish optimizing your images and PDF files. The latest updates cater to this issue with the introduction of background processing. 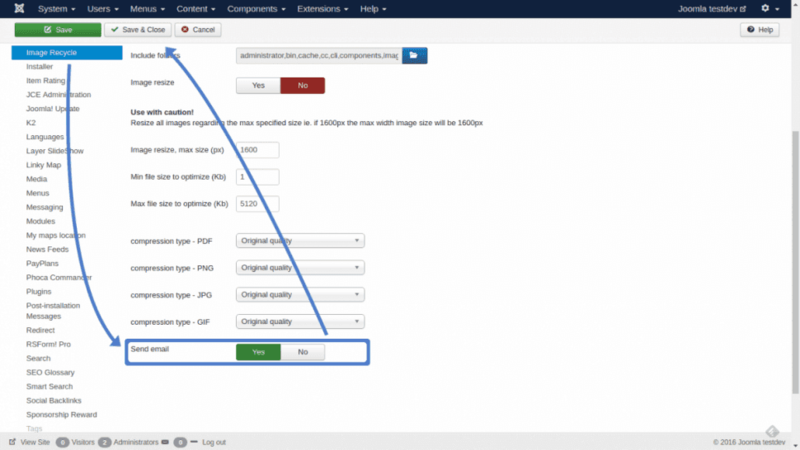 This new feature lets you work on your Joomla website, or do something different altogether, while ImageRecycle quietly processes your images and PDF files in the background. This comes in particularly handy if your files are large, or numerous. ImageRecycle also comes with the facility of notifying you when all the background processing is done through an email. To enable this option, head to ImageRecycle settings page, slide the send email slider on and save to confirm your changes. 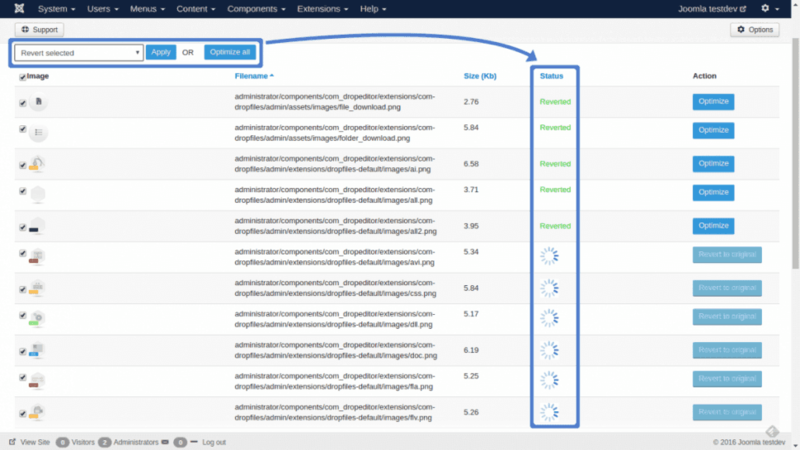 Lastly, one of the most exciting introductions to ImageRecycle is a new API version. 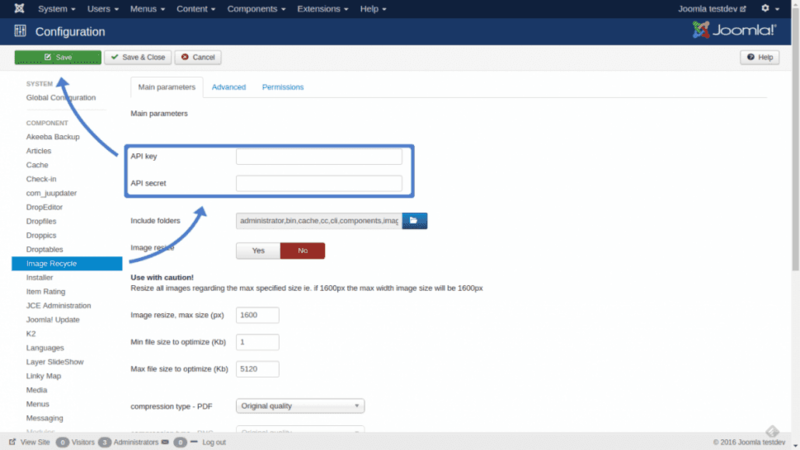 In simpler terms, an enhanced system is now being used with Joomla’s plugin. What does that translate into? 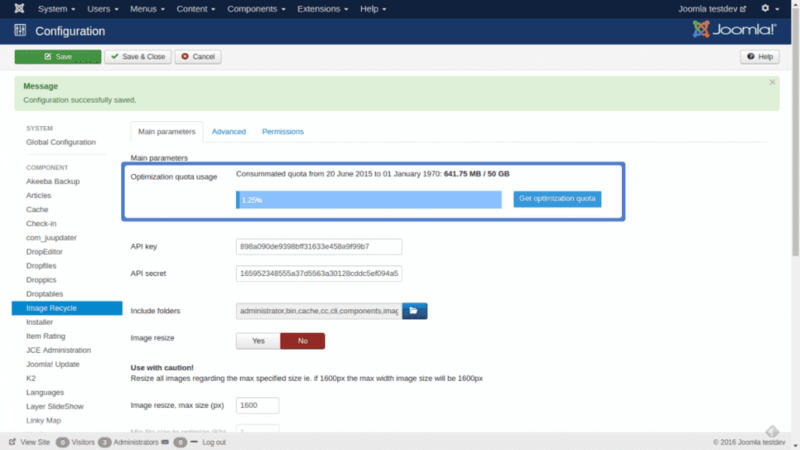 It means that ImageRecycle’s results in optimizing your files will see a staggering improvement of 50%, saving you more web space on your Joomla website than ever before!